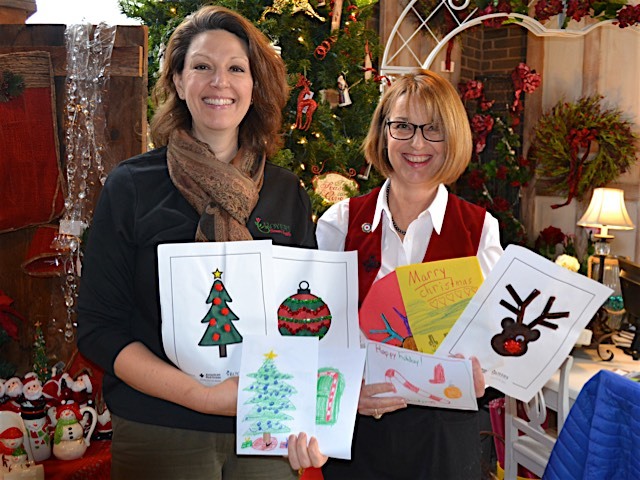 Thanks to your generosity, Royer’s has collected hundreds of holiday cards and coloring pages for the American Red Cross’ “Holidays for Heroes” program. 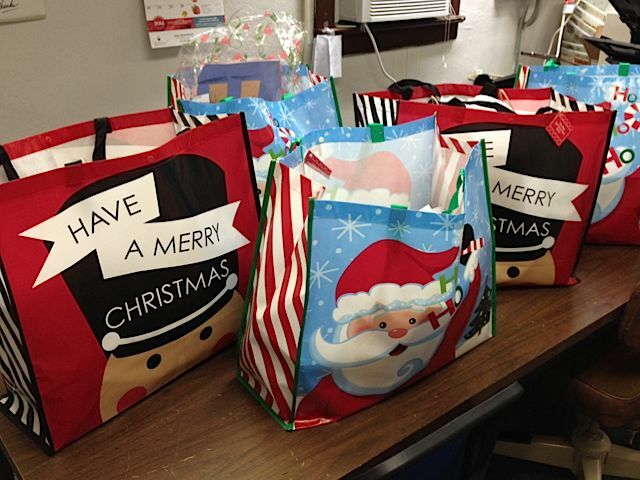 We presented three bags full of the items, which will be distributed to active military and veterans at military installations, VFWs, American Legions, the Lebanon VA and retirement homes in 22 counties in central Pennsylvania. Royer’s invited customers to drop off the items at any of our stores from Nov. 11-Dec. 4. The Red Cross (redcross.org/centralpa) prevents and alleviates human suffering in the face of emergencies by mobilizing the power of volunteers and the generosity of donors. Last year in central Pennsylvania, the Red Cross assisted more than 2,100 people affected by nearly 750 local disasters. From left, Paul LeVan, Maureen LeVan and Elizabeth Lechner, American Red Cross volunteers; Robert Callender, regional service to the armed forces manager, Red Cross; Dena Eberhart, human resources manager, Royer’s Flowers. 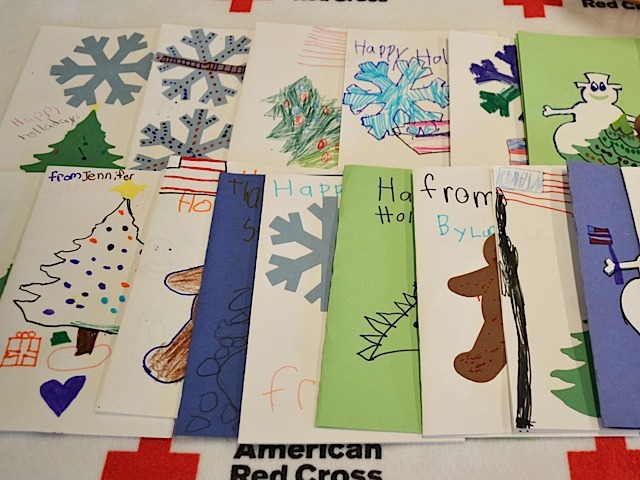 Thanks to the generosity of our customers and community members, our stores collected thousands of cards and coloring pages between Nov. 17 and Dec. 5 to benefit the American Red Cross’ “Holiday Mail for Heroes” program. 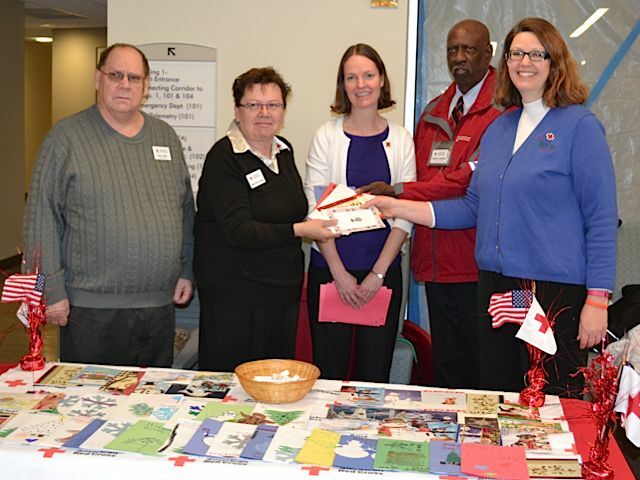 We delivered five bags filled with the donated cards and coloring pages to the Red Cross office in Harrisburg, for distribution at the Lebanon Veterans Administration Medical Center and other locations. There’s no need to stop at Black Friday. What are you doing the rest of the weekend? Join us for our annual holiday open house. All of our stores will be open 8 a.m. to 5 p.m. Saturday and 10 a.m. to 3 p.m. Sunday. And through Dec. 5, all of our stores are collecting holiday cards and coloring pages for the American Red Cross’ “Holiday Mail for Heroes” program. For details, click here. 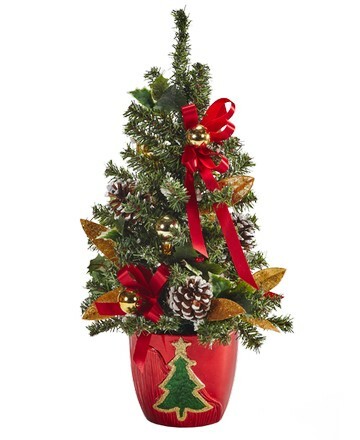 Of course, we’ll have lots of beautiful flowers, plants and giftware available, too, as we usher in the holiday season.